Manchester City midfielder Yaya Toure could leave the club, should the Citizens fail to offer him an improved contract offer by Saturday. The current Toure’s deal worth of £220,000 per week is due to expire in 2015 however his agent reckons his client deserves a better deal and demands the one to be agreed by Saturday. 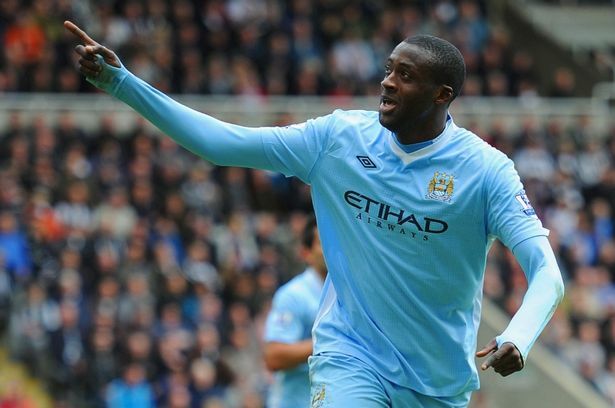 If the Citizens do not meet Toure’s demands, he pledges himself to open the talks with the rival clubs. The 29-year-old box-to-box midfielder who is considered an indispensable player at the Etihad stadium feels unappreciated as the club stalled the contract negotiations six months ago. “Yaya is extremely well paid at City and is the first to recognise that. But he is the No 1 in the world in his position and can get the same money elsewhere. He has been ready to sign for six months on the same money. We want to leave the club, because if they really wanted to do good by Yaya they’d have completed the contract a few months ago,” he added.